Cancer Immunotherapy: A Hope for Cancer Treatment? Removing the brakes – CTLA-4 and PD-1 cells – could potentially unleash our immune system to attack cancer tumors. 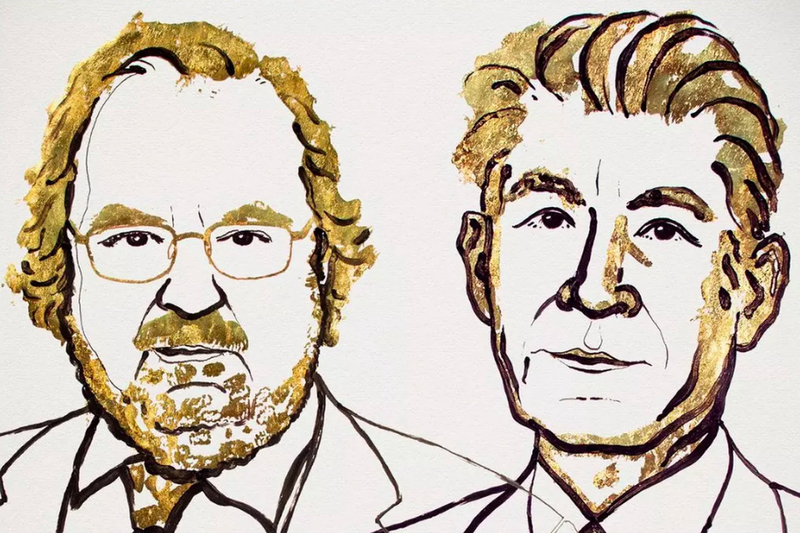 The 2018 Nobel Prize in Physiology or medicine has been awarded jointly to James P. Allison of MD Anderson Cancer Center, USA and Tasuku Honjo of Kyoto University, Japan. They have been honoured for their prodigious contribution in cancer immunotherapy bringing new hopes isn cancer treatment. Inventing ways to stimulate the inherent ability of our immune system to attack and kill cancer cells is what the Nobel Prize has been awarded for. This has opened up an entirely new paradigm in cancer therapy. Conventionally, cancer therapy applies techniques like radiation, heat that can kill cancer cells and stop their proliferation. But eliciting the pathways through which the immune system itself can destroy cancer cells is thought to reduce the harmful effects of the radiation, heat or chemotherapy. Nevertheless, side effects of cancer immunotherapy can’t be completely denied. Allison, in his study, found that a known protein works as a brake in the functioning of the immune system. He realised that removing this brake could potentially unleash our immune system to attack cancer tumors. Based upon this idea, he further developed a new approach to treat cancer patients. Similarly, Honjo discovered another protein that too acts as a brake on the immune system, but functions differently than what Allison had found. The therapy based on removing this brake and activating the immune system has proved to be an effective way to combat cancer. Our immune system’s fundamental property is its ability to distinguish between self and non-self factors. The invading bacteria, viruses or other dangers can easily be recognised by the immune system as non self, and those are attacked and eliminated. This defense mechanism has a type of white blood cell as the key player—the T cells. The receptors on the surface of the T cells make it possible to bind the T cells to the structures recognised as non self, and such interactions trigger the immune system to get engaged in the defence against the invading or non-self objects. But, for triggering a full blown immune response, additional proteins that act as T cell accelerators are also needed. There are proteins that can also act as a brake to inhibit the immune system. This balance of accelerators and brakes is essential for a controlled functioning of the system. This ensures that the immune system gets actively engaged in fighting external factors, but it is not excessively activated which can lead to destruction of healthy cells and tissues—the autoimmune response. Allison studied a protein named CTLA-4 which acts as a brake on T cells. During his time, researchers were engaged in exploiting this mechanism as a target for treatment of autoimmune diseases. But, Allison approached it in quite a different way. He was busy in finding whether a blockade to CTLA-4 could relieve the T cell brake and activate the immune system in attacking cancer cells. It was in 1994 during the Christmas that Allison and his co-workers performed the experiments on mice. They got some spectacular results. Mice with cancer were cured when treated with antibodies that inhibit the CTLA-4 brake on T cells. The apparent apathy of the pharmaceutical industry at that time couldn’t deter Allison from furthering his research to develop his experiment to a therapy of treating cancers. It was only in 2010 when an important clinical study showed promising effects in patients with melanoma, a type of skin cancer. Signs of remaining cancer disappeared in several patients that underwent the therapy. This was the first time such a remarkable result was obtained. A few years before Allison’s discovery, Tasuku Honjo also discovered a different protein named PD-1 that also acts like a brake on T cell activation. Although similar in function, PD-1 works through a different pathway than Allison’s CTLA-4. Experiments done on animals by Honjo and his co-workers showed that blockade to PD-1 could also be an important strategy in fighting cancer. In 2012, it was established from clinical trials that using this therapy, patients with different kinds of cancer could be treated with good efficacy. The treatment using CTLA-4 and PD-1 blockade has now been shown to have tremendous effects in treating cancer as revealed in the clinical trials. ‘Immune Checkpoint Therapy’ is now the known name of this treatment. But, this therapy is also not completely free from adverse side effects. Most importantly, the possibility of developing autoimmune diseases gets very high with the use of this treatment. This is because when the T cell brakes are removed, over activation of the immune system can take place which eventually fails to distinguish between harmful or non-self objects from useful objects of the body. Intense research in reducing the adverse side effects is still underway. On October 3, Leon Lederman passed away at the age of 96 after suffering from several years of dementia, which includes memory loss.